More Than A Slogan. Our Promise. During your next power outage, will you be concerned with basement flooding, spoiled food, loss of heating or cooling? We can help you get the fastest charge, keeping you on the road….not in the garage. Affordable, dependable, expert electrical services for your home and business. Get a free quote and learn how you can experience a worry-free home or business, without power interruptions. Recently, we merged with Dupage Air Repair and are proud to add heating and cooling services to our lineup of services. 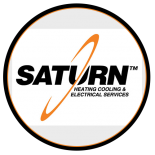 Serving the West and Northwest suburbs of Chicago for over 25 years, Saturn Heating Cooling & Electrical is your top-rated, local expert for EV Charger Installations, Generac generators and now Commercial & Residential HVAC.